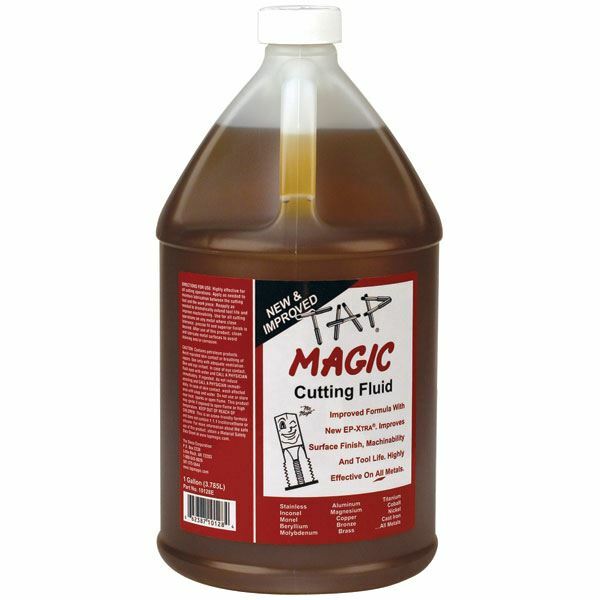 Tap Magic EP-Xtra® is an ozone-friendly formula that provides outstanding performance on all cuts and all metals - even hard metals such as stainless steel. The proprietary additive, EP-Xtra, provides a synergistic boost in performance. A heavy duty and versatile formula that performs incredibly on all metals and in any operation. No matter what application you have in mind, Tap Magic EP-Xtra can take care of it. Applications Highly effective for drilling, tapping, milling - all cuts on all metals. This is the fluid to have when you don't know what cut or what metal tomorrow may bring.